Kingsman: The Golden Circle is a 2017 spy comedy film produced and directed by Matthew Vaughn and written by Vaughn and Jane Goldman. It is a sequel to Kingsman: The Secret Service (2014) which is based on the comic book series Kingsman, created by Dave Gibbons and Mark Millar. The film features Colin Firth, Taron Egerton, Mark Strong, Edward Holcroft, Hanna Alström, and Sophie Cookson reprising their roles from the first film with Julianne Moore, Halle Berry, Pedro Pascal, Elton John, Channing Tatum, and Jeff Bridges joining the cast. 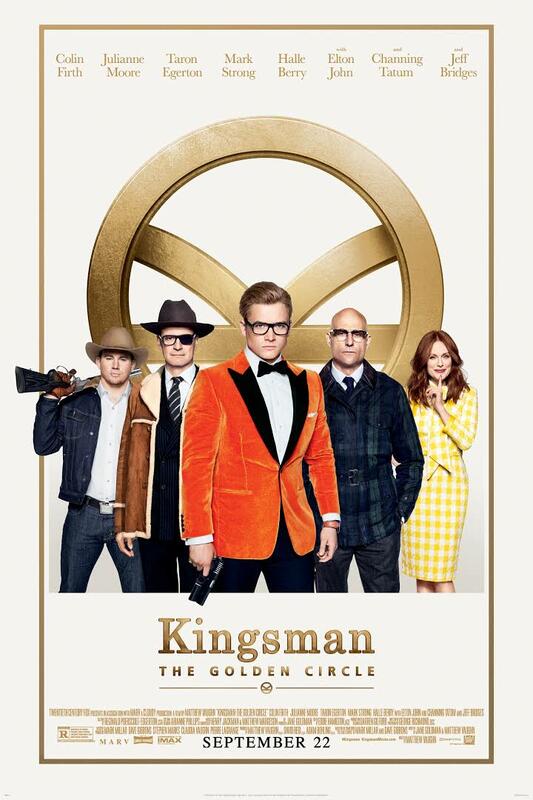 The plot follows the members of Kingsman needing to team up with their American counterpart, Statesman, after the world is held hostage by Poppy Adams and her drug cartel, “The Golden Circle”. Kingsman: The Golden Circle premiered in London on 18 September 2017 and was theatrically released in the United Kingdom on 20 September 2017 in 3D and 2D and in the United States on 22 September 2017 in IMAX. It grossed $409 million worldwide against a budget of $104 million and received mixed reviews from critics, with the use of new characters and over-stylized action being met with a polarized reception and the 141 minute runtime being criticized. Robbie was employed as assistant VFX editor throughout this production.